A new option by the Department of State may ease the burden of obtaining an ID by requiring voters provide only two documents as proof of residency. Pennsylvania election officials are set to release a “Department of State voter ID card,” aimed at making it easier for those who have had difficulty obtaining proper ID in order to comply with the state’s Voter ID law. These cards will be issued by PennDOT up to and through Election Day, Nov. 6, 2012, and after. 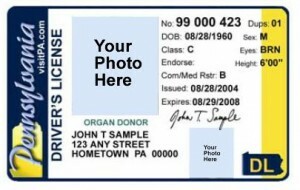 Secretary of the Commonwealth Carol Aichele said the photo IDs are scheduled to be available at PennDOT’s Drivers License Centers beginning the last week of August, and said the IDs are a way of providing another option to voters. “We believe these new cards will be a safety net for those who may not currently possess all of the documents they need for a standard photo ID from PennDOT. Our goals are to continue making voters aware of the new voter ID law and helping those who may not have proper identification obtain it,” she added. This new card will be valid for 10 years, and will only be given to those who do not have any other approved ID for voting purposes. Also, unlike other forms of state-issued ID, this card is for voting purposes only. PennDOT requires applicants provide proof of identity and residence to obtain a non-driver ID. Acceptable forms of identification include a birth certificate, social security card, certificate of U.S. citizenship or naturalization or a passport. Proof of residency can be shown using either tax records, firearms permit, utility bills, or lease or mortgage documents. The Pittsburgh Post-Gazette’s Laura Olson reported today that the new card would require only that registered voters know their Social Security number and have two documents showing proof of residency. The decision on the card comes after months of scrutiny over the new Voter ID law that requires photo identification in order to vote. Despite receiving high praise and approval from a majority of PA voters, its critics contend that the law is a means of disenfranchising voters, and have speculated that it was passed to help certain elected officials win in November. The debate was reignited a few weeks ago when it was revealed that the estimated number of voters who lack proper ID was higher than expected – indeed, many times higher than the 1 percent figure originally given by the Corbett administration. In some areas, like Philadelphia, as many as 1 in 5 people lack ID. In addition, getting the new ID still requires voters make the trip to a PennDOT licensing center, which does little to pacify those who claim it places an unfair burden on the elderly or disabled. This argument is key in the legal case against the state, whose plaintiffs claim the law violates the PA Constitution because such requirements hamper the right to vote. A Commonwealth Court hearing is scheduled for next Wednesday and is estimated to last between five and seven days. Regarding the “study” that showed a number of folks without ID, that was a scan of drivers license and existing state IDs. There are no definitive data showing who has/doesn’t have an approved ID. What about students? What about nursing homes? What about active and retired military? What about military reservists? An all-out push needs to ensure all are aware of the requirement. Someone with the means needs to identify those needing help, then get the help to them. Stop talking and do something definitive! The only way this works is if the government goes door-to-door to issue these IDs. And that would be a ridiculously costly endeavor. What a waste. Those Republicans are really doing a good job looking out for taxpayer money. Spending millions of dollars “fixing” a problem that doesn’t exist. Well, I guess they are. The “problem” as they see it is that we have a president with the wrong letter after his name. Combating “voter fraud” will go a long way to help the guy with the ‘R’ after his name win the state. Their patriotism is heart-warming. I feel so free. This is a last-minute face-saving band-aid to fix a problem created by the GOP in Harrisburg. Now they are going to waste more tax dollars to create a new card and process that will only be valid to vote!!! So, that means it will only needed what once every two years at most? And that’s assuming the rules don’t get changed again by then. Never mind we have more important priorities to waste state money one, like giving raises to our overpaid lawmakers. Did you know that our state has the largest full-time state legislature in the country? Why do we even have two houses? I mean, what is the difference between house districts and senatorial districts? Imagine how much money we would save! This move is a joke! You still need to make the trip the photo center and depending on where you live that is not an easy task. As an example in Centre County for many there is no public transportation option available to the location. Given the size of Centre County many have to travel over 80 miles round trip to the only photo center in the county. How does a person without a driver’s license get to the photo center? How does someone who works 9 to 5 get to the center before it closes at 4:15 pm? Who is paying for the cost of the trip the center? This law was designed to disenfranchise the poor, students, minorities and the elderly. Keep in mind prior to March 2012 PA had a very effective voter verification and ID law that not only protect the voting process but did not disenfranchise large groups of voters. What the Republicans did in PA is alter the law to limit the types of IDs that could be used and added a requirement that an expiration date had to be on the ID. What this did was eliminate the use of many commonly held IDs including student IDs, veterans IDs, nursing home IDs and others. Now many will say but the GOP law permits the use of these IDs but what the Republicans did not tell you is they knew these IDs in PA did not contain expiration dates. Now colleges and universities are forced to redesign and reissue IDs just to protect the voting rights of their students. Now you have to spend money or miss work to travel to receive the so called free ID. When you have to spend money to vote it is called a poll tax and like the poll tax in the old south this one is designed to disenfranchise voters. Law can I as a majority inspector of election allow people I know without ID to vote? So, they are requiring the same forms of non-picture ID (like utility bills) that were in the original law. So, what’s the f**king point of having the new law, other than to make it more difficult for people? 1) Why can’t counties issue an ID? 2) What will be the “expiration date” on these new cards? This is pretty much an acknowledgement that the new is wrong, and trying to put a band-aid over a gushing wound. Sounds like the GOP has found a way to commit more voter fraud. Wonder how many dead will find themselves voting republican with this card.